HTC announced the Superphone HTC J Butterfly for Japan. HTC J Butterfly packs with 5-inch 1080p SLCD 3 display with 1920 x 1080 Full HD resolution. 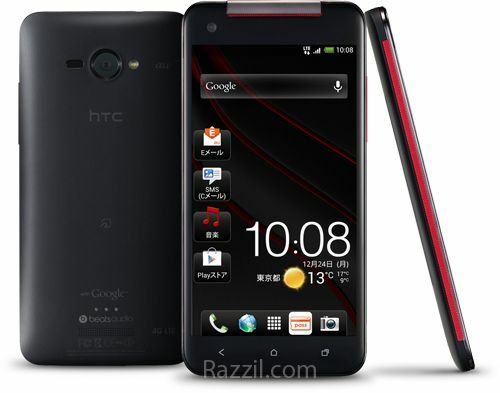 HTC J Butterfly has MDM9615 + APQ8064 1.5 GHz Quad-Core CPU, 2 GB of RAM, 8 MP rear camera and 2.1 MP front camera. The phone runs on Android 4.1 Jelly Bean OS and powered by 2020 mAh Battery. The phone comes with 16 GB of Internal Storage and it supports external micro SD card up to 32 GB. The phone is drool-worthy but HTC built this phone specially for Japan. But the good thing is that, HTC will take the display to global phones.